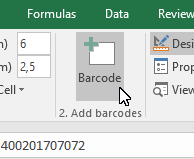 In this example, we show you how to use the Excel Add-In to integrate a barcode into a form and link it to a data cell. 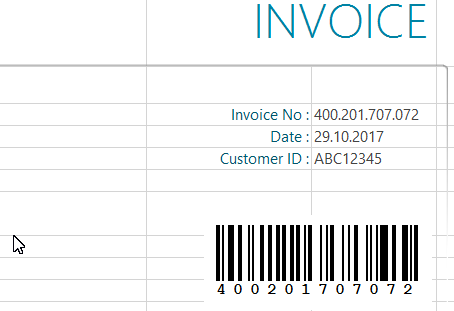 The starting point is an invoice form in which the invoice number is to be inserted as a barcode. To do this, switch to the tab "ActiveBarcode". In the left area of this menu you can configure the barcode. First select the barcode symbology. In this example we use code 128. Now select the position at which the barcode is to be created. 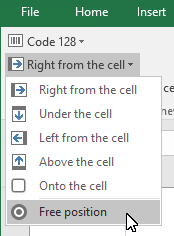 Since this position is not directly next to the cell, we select "Free position". In addition, set the desired size and select whether you want the plain text line to be displayed or not. Under "Option/Settings", check the option "Link barcode to cell" and activate it if necessary. 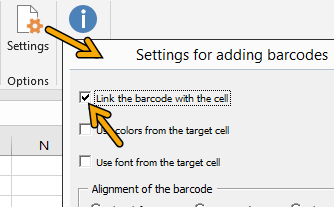 This links the barcode to the cell, i.e. the barcode always changes according to the cell contents. 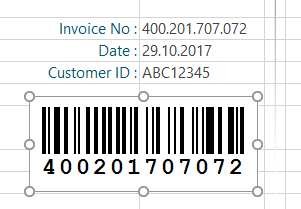 Under "Barcode/Cell", activate the option "Set barcode size to independently". This makes use of the height and width values. 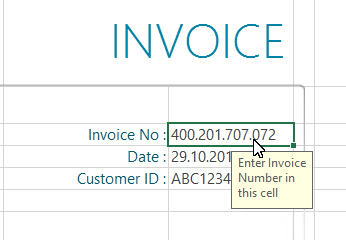 Now select the cell in your table that you want to link. 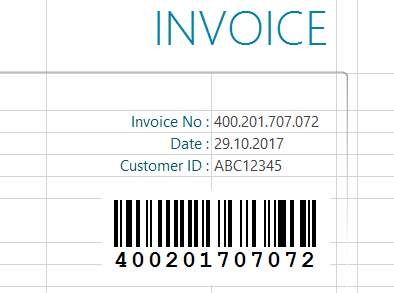 In this example, it is the invoice numbers cell. Click the Insert Barcode button. The barcode is inserted in the selected size in the middle of the worksheet. To further adjust the barcode, activate the design mode. Activate the barcode by clicking on it once. Now you can move the barcode to the final position. 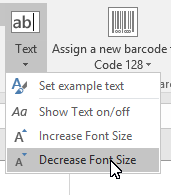 You can also change the properties of the barcode, e. g. reduce the font of the plain text line.